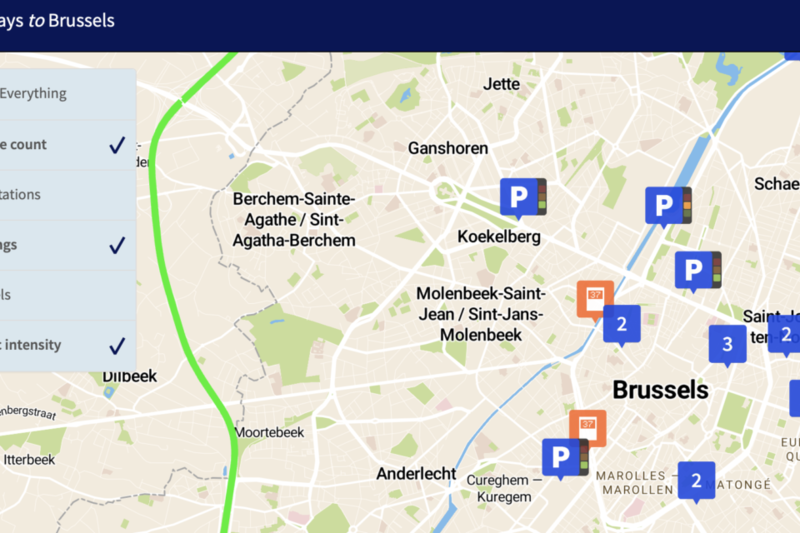 The new ‘manyways.be’ website shows various mobility data from Brussels, which are brought to life on an interactive map and a real-time dashboard. These open data allow us to make the ideal mobility choice in terms of traffic density, weather conditions and air pollution. The website collects data and presents them on an interactive map and a real-time dashboard. 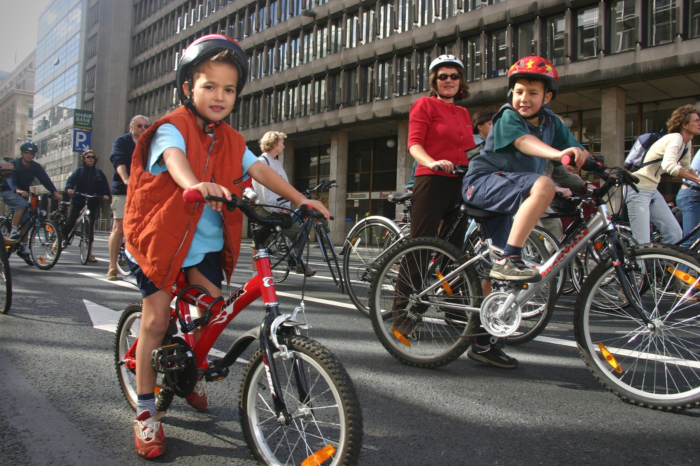 The dashboard brings together data that have never been combined in this way and contains a clear map showing data about bicycle parking facilities, Villo bicycles, underground car parks, tunnels and traffic density. By clicking on a symbol on the map you get more detailed information about that point. Mobile users can also see their location on the map and can easily search for the nearest available shared bike or car park. The website also has an extensive dashboard that is classified by means of transport. You can compare the air quality compared to other days, but you can also see whether the number of vehicles on the Brussels Ring has an impact on air pollution. A graph shows not only the number of cyclists per hour counted today, but also whether the rain has an impact on bicycle use. Other visualization makes it possible to check if it is true that Villo bicycle stations on a slope always have fewer bicycles available. Train passengers can see what percentage of trains are currently departing late from Brussels and how this compares to the average. Manyways.be also shows in real time how many trains are running in Brussels and how much the total delay is. It is also possible to see at a glance how many vehicles are driving on the Brussels Ring and how this affects the average speed. In addition, the delay on the Ring Road is indicated and how it evolves throughout the day. Another graph shows the number of cars entering and leaving Brussels per hour. 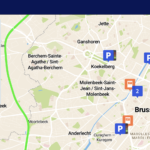 Manyways.be also shows carpool rides that are offered to and from Brussels at that time. “Everyone talks about open data, but with this dashboard we manage to show this clearly and visually for the first time. This way, citizens are informed and experts can investigate trends, such as the relationship between air quality and car traffic”, says Minister of Mobility and Public Works Pascal Smet (SP.A). At the moment, the manyways.be dashboard is only available for the Brussels-Capital Region, but the port of Antwerp and Brussels Airport will follow later.